Hydrangeas always make me think of spring in full swing. The green foliage of the bush and the periwinkle blossoms are the perfect mimic of the greening grass and a cloudless sky. 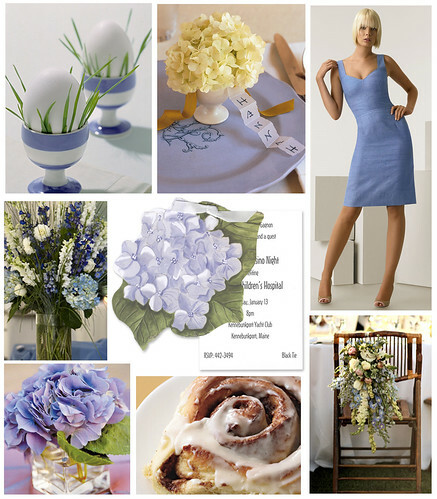 This hydrangea card from Stevie Streck would be the perfect invitation for a stylish Easter brunch.